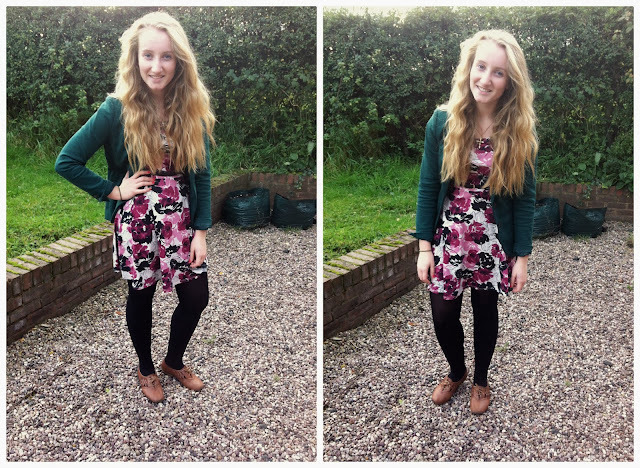 Blondie's Style Fix: OOTD; Florals in Autumn..
Hello, it's been a quite half term for me so far, however my excitement for HARRY POTTER STUDIOS next week cannot be contained! 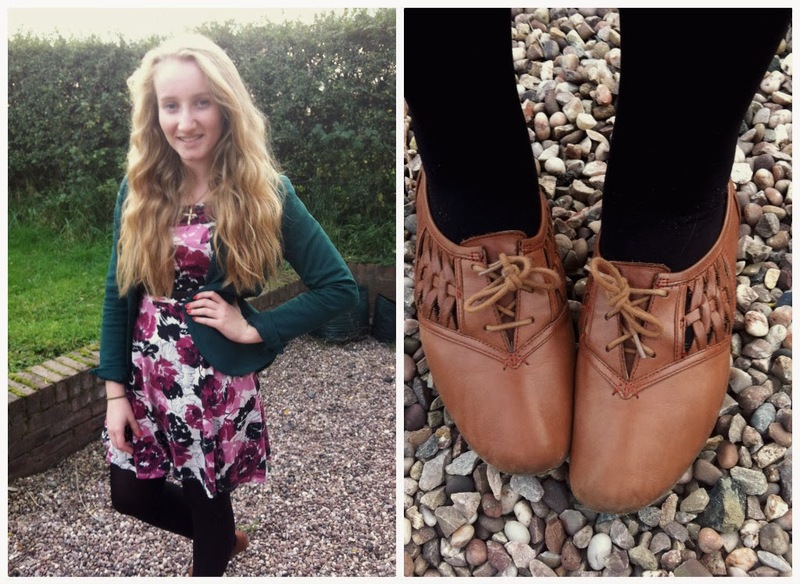 Today's post is a little outfit I put together for 6th form, but thought I'd share it with you anyhow. 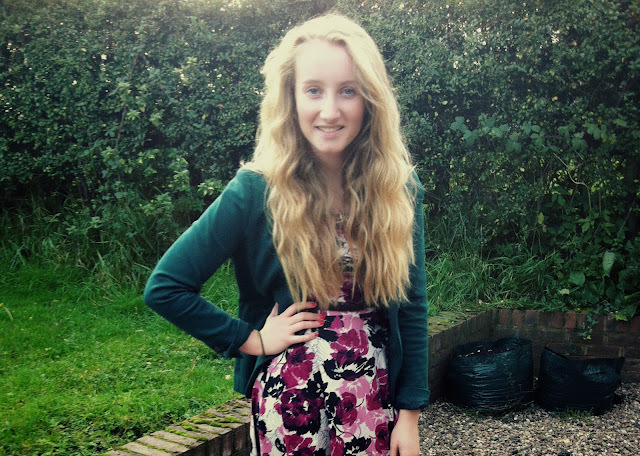 I recently brought a floral dress (yes in Autumn!) from Dorothy Perkins, for an Autumn wedding I was singing for, however I've formed an attachment with its beautiful colours! I wore the dress with a green blazer from H&M, which really brought out the autumn colours of deep purple in the dress and one of my many pairs of brogues! The dress comes in several styles and patterns, and is so comfortable to wear. This dress was around £18, which I think was a great price considering the amount of wear I've had out of it! What I'm Wearing: Dress - Dorothy Perkins, Blazer - H&M, Brogues - Clarks, Necklace - Top Shop, Belt - Primark. Well that's all from me for now, might put a sneaky halloween post up later! U look pretty sweets, loved your shoes.. Pretty girl!!! Your blond hair is amazing! Such a cute dress! I love it with the jacket!